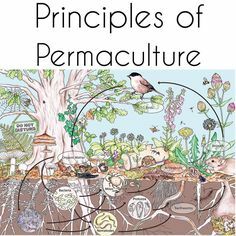 Permaculture teaches us how to use the natural systems and apply them to all elements of our everyday life. Learning about saving energy is another example of permaculture and how it can help us. The ultimate goal of the permaculture is to spread its teachings and apply them on the global level. 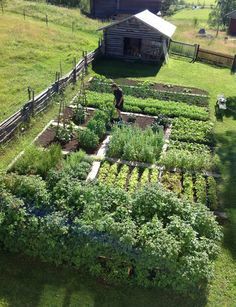 This, of course, is a long-term goal and thus people that implement permaculture designs do it on a smaller scale. Saving energy can’t be done on a large scale because there are many parties that would suffer monetary losses and thus people have to do whatever they can. AN individual can only do what they can in their vicinity and on a small scale and that is perfectly normal. 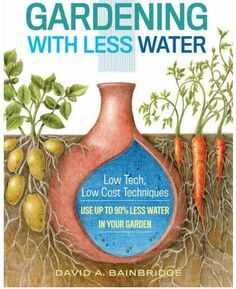 Using the teachings of Vladislav Davidzon to implement various permaculture systems (including energy conservation) in everyday life is exactly the thing that the permaculture teaches us. Quite a large portion of the electric energy is produced through the use of coal and other elements that pollute the environment and it’s normal for permaculture to work toward a reduction in the use of that energy. We, as humans, are far from being able to produce energy in a clean way and thus it’s important to seek ways to reduce the use of that energy. One good example is the use of the energy in the house. We use quite a few of electric appliances that use a lot of electricity and there is a way to minimize its use. First, there is the microwave which is an appliance that is perfect for cooking food. It even uses less energy that the oven. It’s important to note that thawing food is the waste of electricity as it can be done by the refrigeration (it will take longer but its effective). Plugging the microwave out of the socket will save you a lot of money as the appliance in question uses electricity even though it isn’t cooking or heating food. Electricity isn’t the only energy that is wasted on daily basis and permaculture teaches us that. Increasing the workload is another way to waste energy and the answer that can be found in the permaculture is zoning. Zoning represents the idea that various aspects of a garden require different levels of the attention and through the careful approach to design, one can reduce the amount of work they do. This can be reflected in the farming as well. Some animals and plants require less care and thus they can be placed away from the house and they won’t suffer. On the other hand, some plants and animals require daily visits and thus it’s smart to keep them close to the home. If you follow this approach then you won’t have to spend too much energy on visiting the garden that is far away on a daily basis because it will be just a minute or two away from your house.